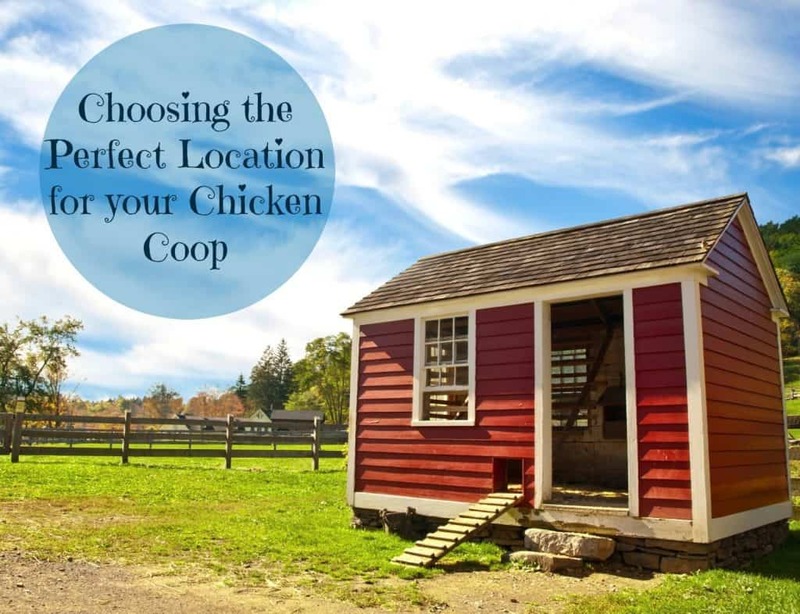 Choosing the best location for your chicken coop is another incredibly important decision. Just like looking for the plot of land to build your house, choosing your chicken’s house position is key for their health, happiness and safety. Unlike people, chickens are kind of stuck where you put them. You or I can close the windows, turn up the heat or get a blanket if we are uncomfortable. Your chickens have no such luxury. They rely on you to make the best decisions for them. If you treat them right, they will reward you with plenty of fresh eggs and happy clucking. If you get the position of the coop wrong, you’ll be paying for your mistakes for a long time to come. Here are the important factors to consider when deciding where to build your chicken coop. Most chicken owners prefer to keep their chickens relatively close to the main house, but not directly next to it. This is helpful for several reasons. Safety. It’s best to keep your chickens close where you can keep your eyes on things. The safety of your chickens should always be in the forefront of your mind. If you are close by you will hear when a predator approaches, ‘because they will certainly make a whole bunch of noise if a fox or raccoon is on the prowl. Convenience. You will need to visit your chickens at a minimum twice a day to let them in & out of their coop, feed and give them water. If their house is close by, it just makes it easier on you, especially in bad weather. Electricity. If you need to run electricity from your house to the chicken coop for heat or an electronic door opener, it’ll be much cheaper and easier if it’s closer to the main power source. Cleaning. Another reason to keep the coop closer to the house, but not connected is to allow room for cleaning. You’ll want to occasionally hose off the structure or do a thorough cleaning each year which is best done using a hose. You don’t want to spray any waste onto your house. Insects and Odor. Chickens will naturally attract a small amount of insects to their pens which are attracted to both their food and droppings. There will be some flies and other flying insects and the occasional odors. For this reason – you don’t want to place the chicken house directly next to your house. Keep them close enough to be convenient, but just not directly on top of your own home. Any coop that will stand the test of time should be built on level ground. You want a rock solid foundation for your chicken coop. You will want to either find an area of your property that is level or clear a space to create one. Make sure the location is in an area that has adequate drainage and is not prone to flooding or standing water in the rainy months. Some owners who live in wetter areas choose to lay a concrete foundation to ensure the floor stays dry and doesn’t shift after frequent rainstorms. We also wanted to mention a tip from the DIY Diva – who cautions against building your coop on a floating floor. These are commonly used when building sheds from a kit. They call it floating floor since the floor is raised an inch or so above the ground on concrete blocks to create a level surface outdoors. The space between the floor and the ground can attract families of mice and other critters – not something you want to be hanging about around your coop. 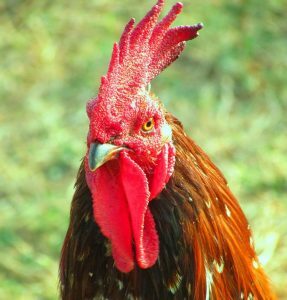 The mice will eat your chicken’s food, bring parasites like ticks and mites into their area, and attract larger predators that could cause harm to your chickens. The chicken coop should be located near some natural foraging areas for your chickens to explore and find a meal. This is quite easy in most rural and even suburban settings. As you move into the city, however, it will require a bit more planning. Chickens will eat almost anything. They love insects, weeds, plants, grass, seeds and will even eat small rodents if they have the chance. Almost any grassy or garden area should contain some of their favorite snacks. But you need to give them enough space to keep them healthy. 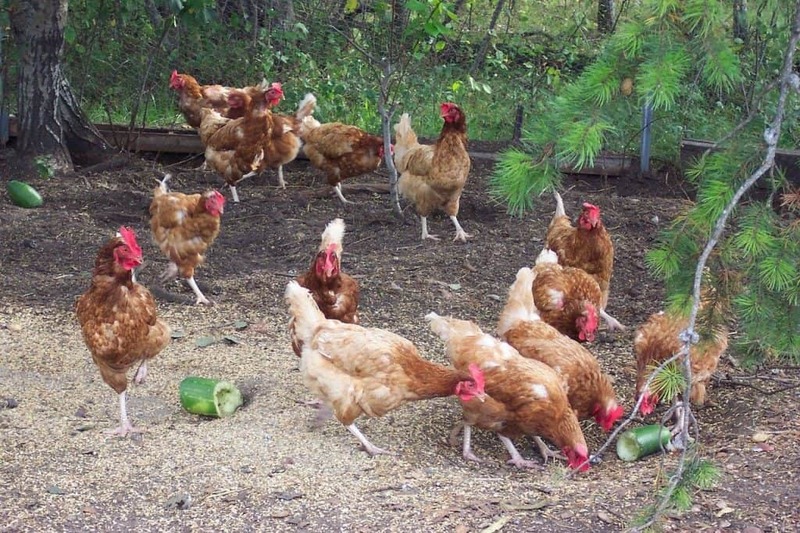 If you allow your chickens to free range, give them about 250 to 300 square feet per bird. If you choose to keep the chickens confined to a chicken run, allow 8 to 10 square feet per bird. Chickens will eat most anything, but leftover vegetables are a favorite treat. If you don’t give you chickens enough space to roam, they may get aggressive, fighting for control over their resources. They will be prone to disease or infestations as can happen with any animal that is kept in a confined space. If you live in an especially windy area, having a good wind break will go a long way to ensure the comfort of your chickens. This will help to keep the temperature more even in the winter months. When you go out to collect eggs or feed your chickens, you will also appreciate a little shelter from the freezing temperatures. Having a good windbreak also helps to cut down on the wear and tear of your coop in storms. This could be several large trees, a solid fence or other tall structure. When planning your chicken coop location, also give some thought to how large you will make the fencing area and were you will place the gates. Measure out exactly where you will place the fencing, keeping in mind the fence should be sunk at least 18 inches (or more) in the ground to prevent predators from digging up under the fence into your chicken run. Look out for the roots of mature trees which may make it harder to sink the fencing. The gates for your fence should also be placed closer to your house, so you don’t need to walk all the way around the run to access the coop. Some also like to place the hen house closer to the gates, so you don’t need to walk all the way through the muck when getting your eggs each morning. To keep your chickens happy year round, try to look for a location that offers a variety of environments so your chickens can move about depending on the season and the weather. Hey there – I’d like my coop next to a nice shady tree with plenty of room to forage. Got it? There should be shady areas for the chickens to get some relief from the heat of the summer sun. They also need a place to escape from the harsher elements like rain and sleet. Chickens do not like to be pummeled by rain, so there should be some place for them to hide when the weather turns. But don’t place their chicken coops where they will not get any sunshine. This is just as important, especially in the winter months. An ideal setup would be to have a few deciduous trees in the area. This will provide shade and shelter in the summer months, but when the trees lose their leaves in fall, they will get more sunshine to stay warm. The location of your chicken coop is a big success factor in how happy you will be with your completed coop design. It’s not something that can be easily changed, so take your time & choose the perfect location for your chickens.